A STRUGGLING Rory McIlroy admits he needed a kick up the backside from caddie JP Fitzgerald to get his Open back on track after it looked like he was crashing halfway through his first round. four-time Major winner, recovered from a perilous five-over after just six holes at Royal Birkdale to stage an impressive four-birdie recovery after the turn to card a one-over 71. 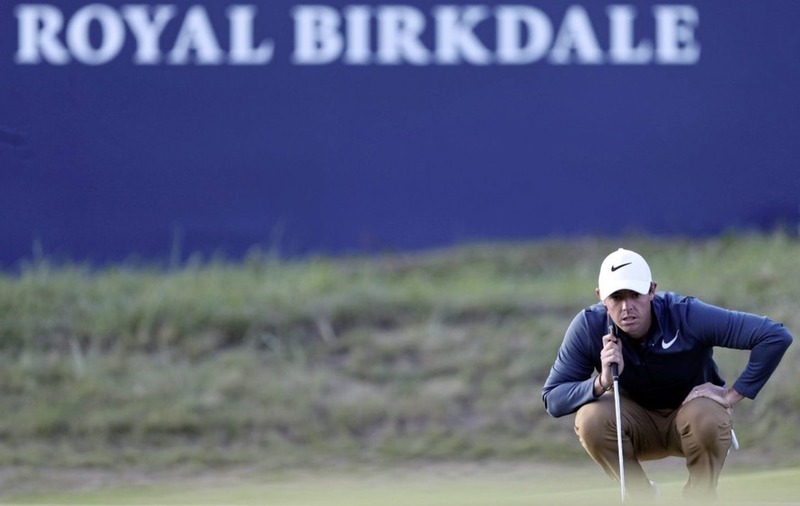 McIlroy has missed three cuts in the last four tournaments and his Open challenge looked to be be over before it had begun until he was jolted out of his malaise by Fitzgerald. “It was on the sixth tee. JP gave me a good talking to and sort of reminded me of who I was,” said the 28-year-old, who is six shots off the lead held by American trio Jordan Spieth, Matt Kuchar and newly-crowned US Open champion Brooks Koepka. “Thankfully he’s not had to do it too often and he’s never afraid to do that and I feel today it helped a lot more than at other times because I needed something. It did not have the immediate impact McIlroy would have hoped as he bogeyed the sixth to drop to five over but, having turned in 39 with no more dropped shots, his rescue mission kicked into gear with four birdies in his last eight holes. McIlroy said his recent poor form had been playing on his mind and was not helped by waking up to wet and windy weather. “I’m an early riser so I followed the guys going off really early and the first hole looked like to be playing about a par six. I thought that would have an effect on me,” he added. “I was nervous going out, a little anxious, timid, just (did) not really (have) as much belief in myself as I should have had. “(It was) just a bit of lack of confidence over the last couple of weeks and letting that get in my head. Fellow Irishman and former Open champion Darren Clarke admitted he found it difficult to watch as McIlroy floundered early in his round. “I find it sad to watch. 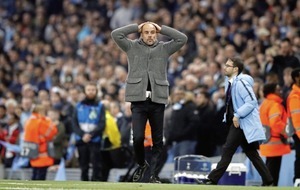 He is struggling at the moment,” he said. However, McIlroy has proved in the past he is made of stern stuff and a 18-foot birdie putt at the last completely changed his perspective of his round. And he believes he still has every chance of winning a second Claret Jug after likening his travails to those in the Ryder Cup in 2012 when Europe were up against it late on the Saturday only to stage a remarkable recovery on the final day. “I could be standing here having hit 18 greens and shot one-over and missed every putt and feel terrible,” he said. “But because of the way I started I actually feel really positive. It’s a bit like Ryder Cup at Medinah in 2012. “We’re 10-6 down on Saturday night but we feel like we were right in with a chance because we won the last two points. “Even though there’s a lot of golf left in other circumstances it might have been a disappointing day but just with the way I finished, I feel really good about it.